Driven by a love of travel and heart for service, Lisa has set an ambitious goal for herself: to volunteer with Habitat for Humanity in all 50 states. Since 2015, she’s already helped build homes in nine states, spanning from Maine to Oregon. She said it’s like a vacation, only better – she gets to travel the country while making it more meaningful by giving back. In March, she flew from her hometown in Minnesota to build alongside local volunteers and partner families in Northeast Portland. Fifty degrees warmer than where she lives, the sunshine was a welcoming addition to the days’ projects, but Lisa has served under harsher conditions. Her very first time volunteering was in New Jersey after Hurricane Sandy devastated the entire eastern seaboard, hitting New Jersey and New York the hardest. During her week-long stay, she roomed with a partner family whose home had been hit by 10 feet of water. She helped Habitat rebuild what they had lost and was witness to the family’s testament of strength. Every day, the grandmother would visit the build site, bringing tapas and empanadas for the volunteers to enjoy. She wanted to thank the people who were helping to rebuild her home. On the day her house was finished, Habitat revealed a brand new home and surprised her with donated furniture from Lowe’s. It was a day that would stay with Lisa; this first volunteer experience still rings as the most impactful and drives her to help more people. Every time she volunteers, she tries out a new task; she’s done everything from digging out rock beds, to building a driveway, to doing sheetrock, putting up roof trusses, and more. A large component that attracts her to Habitat is learning how to accomplish the day’s project. Lisa was also impressed by the educational aspect of Habitat’s sweat equity partnership with homebuyers. In addition to volunteering on the build site and at the ReStore, homebuyers complete several financial wellness classes to prepare them to be successful homeowners. 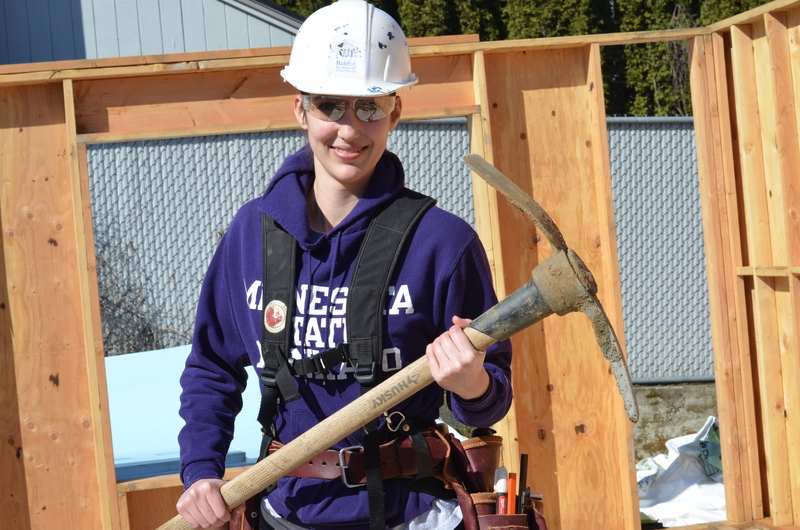 Next up on Lisa’s volunteership with Habitat: Washington state. It will be her tenth state so far as she builds her way across the country. Volunteer opportunities available at our Cully build site.